Nick & Sarah are two of the of the most gorgeous people you could meet. There is a genuine warmth that exudes from them. 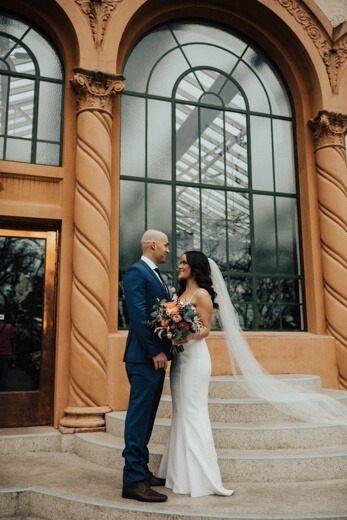 Sarah’s smile lights up a room and Nick’s easy going manner is perfect for his job as a fire fighter. 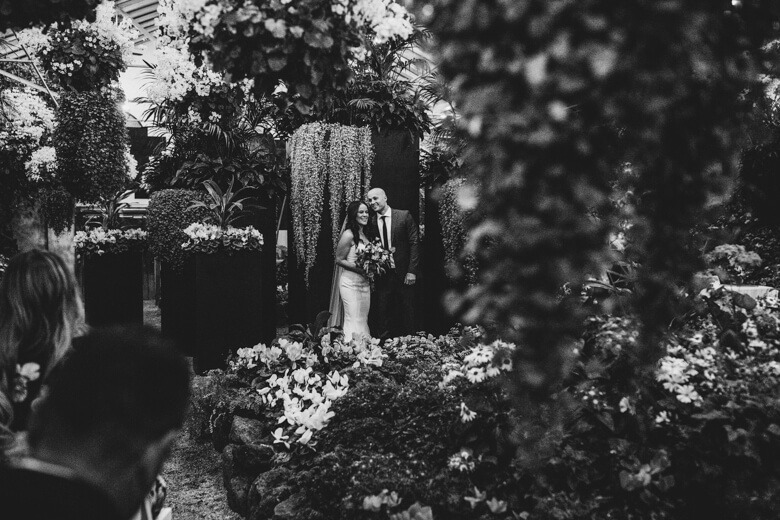 And when they asked me to be their celebrant, I couldn’t have been more excited. 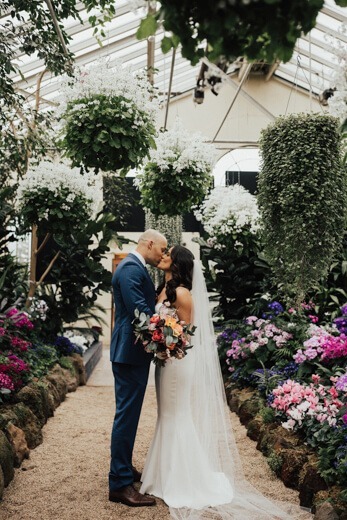 They wanted their day to feel relaxed, personal and intimated and the setting at the gorgeous plant filled Conservatory at Fitzroy Gardens could not have been any more perfect for the occasion. 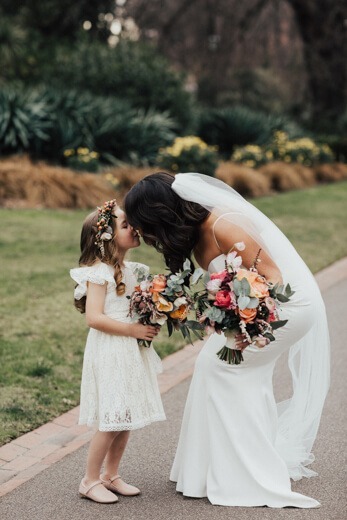 They started their celebrations with a “first look”. 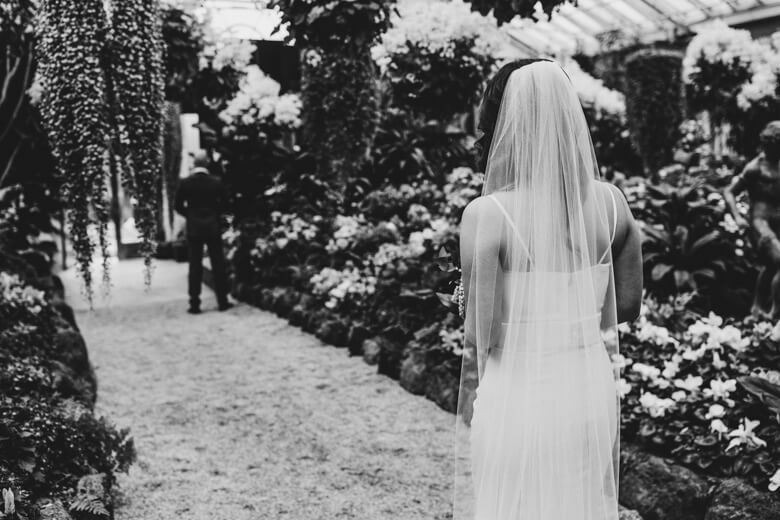 More and more couples are choosing to have a sneak peak away from everyone to spend some time together in private and have this special moment captured by their photographer. 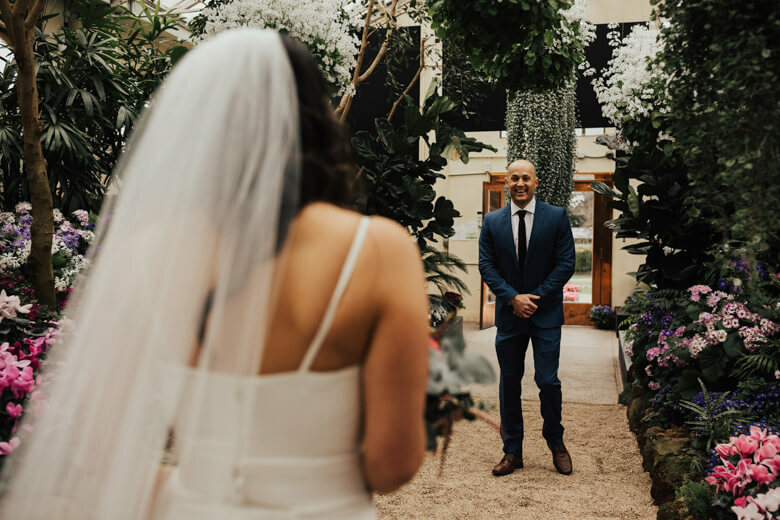 This allowed Sarah & Nick to enjoy some time together before the ceremony, kissing, laughing and without having to rush portrait photos later……..
……….And Nick couldn’t look any more excited to see his beautiful wife to be. After the “first look” any nerves that may have been around had totally disappeared and they were both very excited for the ceremony to start. 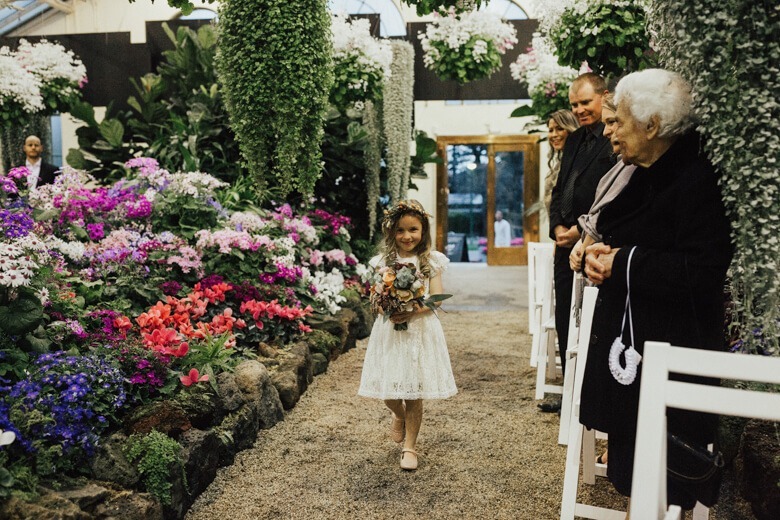 Sarah’s niece Amelia, was very excited to be involved in this special wedding and she lead the way for her much loved Aunty. 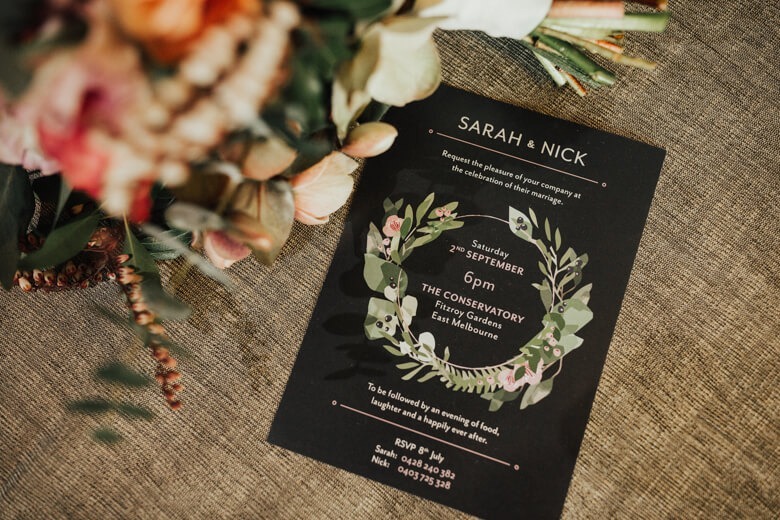 As the ceremony started, the sun began to set and as darkness fell, Sarah & Nick were surrounded by a small and very special group of people in a glorious bubble of love and happiness. 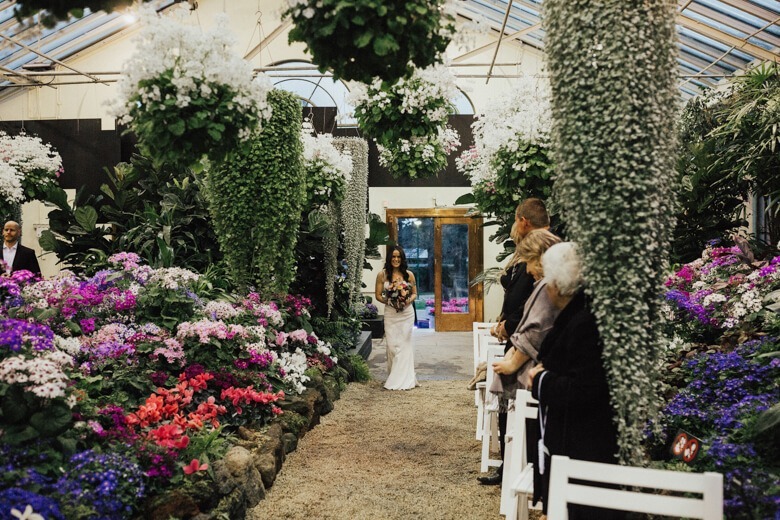 Their ceremony was heartfelt, sincere and with many tears of happiness. 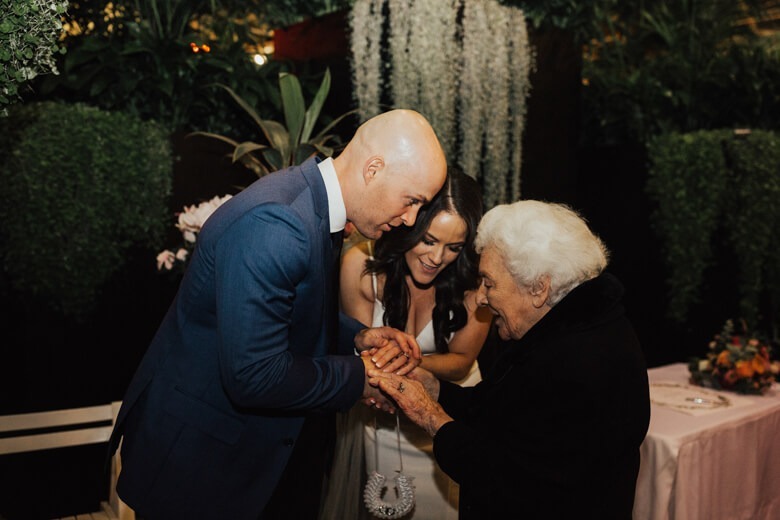 Sarah’s beautiful grandmother was very pleased to be included in the celebrations. 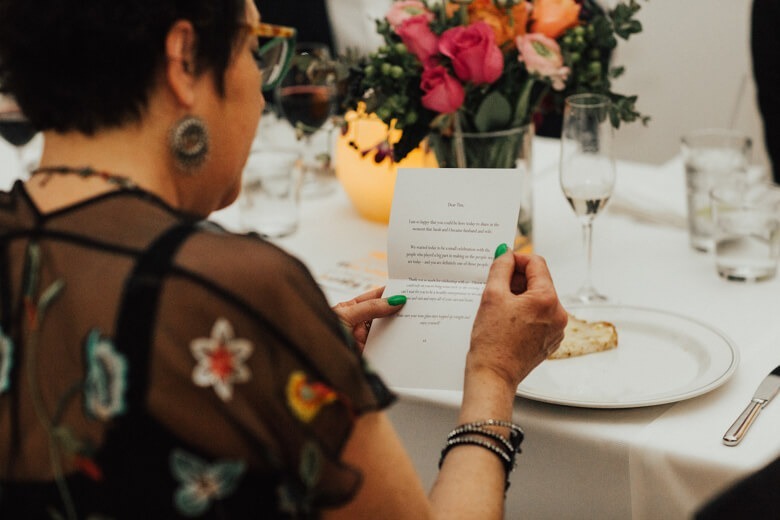 A creative at heart, Sarah relished is designing and creating so many personal touches to their day including a certificate for everyone to sign and personalised letters to each guest. 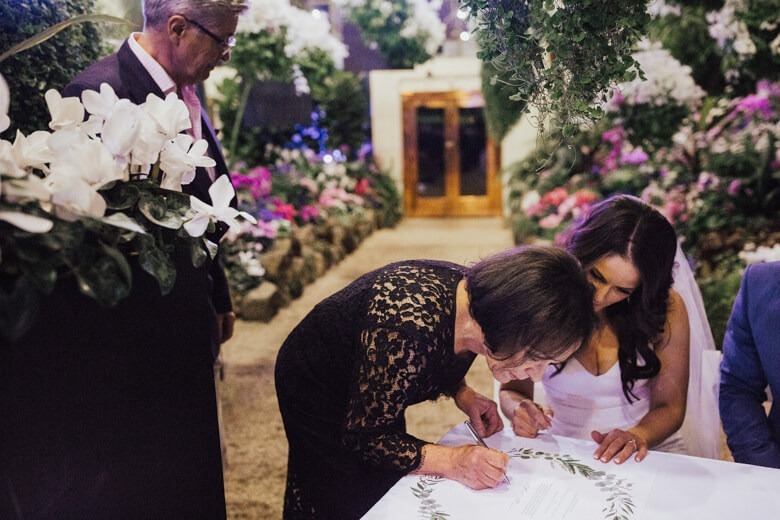 This lovely couples number one priority was making sure that their guests had a lovely time and felt loved. 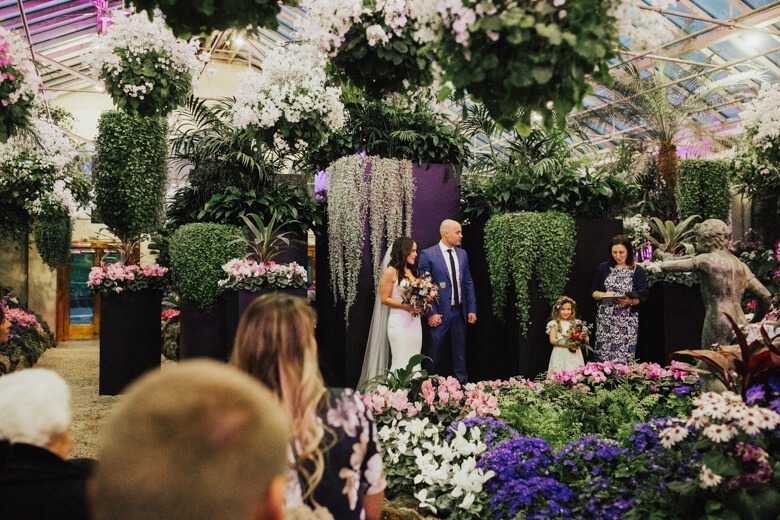 They decided to prioritise themselves and their guests and not let tradition stand in the way of their very special day. 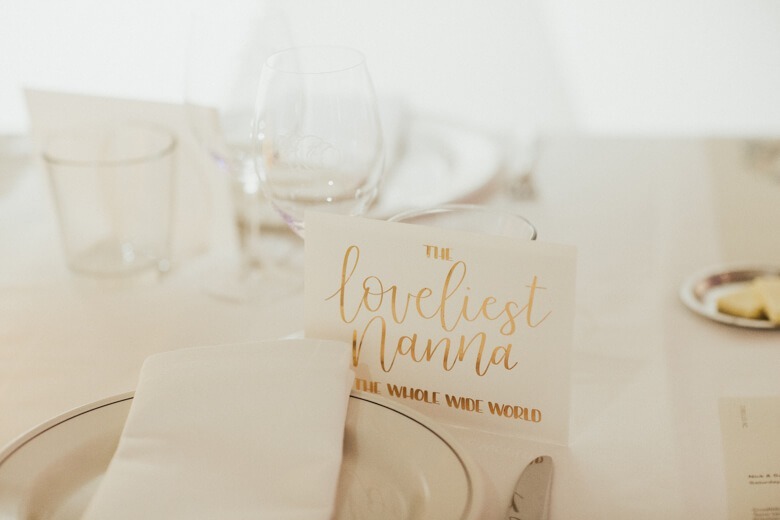 There was so much to love about this wedding, including the impeccable style, pretty details, fun first look and Josie Lee photography managed to capture it all. 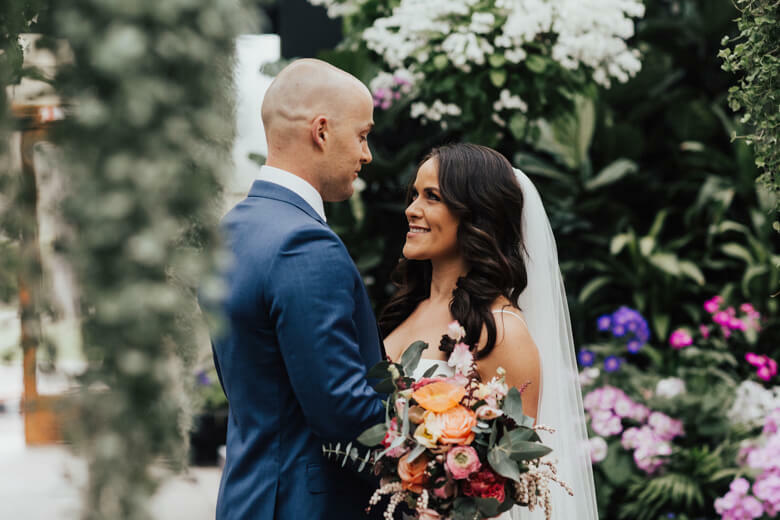 Thank you Sarah and Nick for allowing me to share in your day and thank you for your lovely words on Easyweddings. “Oh my gosh – just incredible! 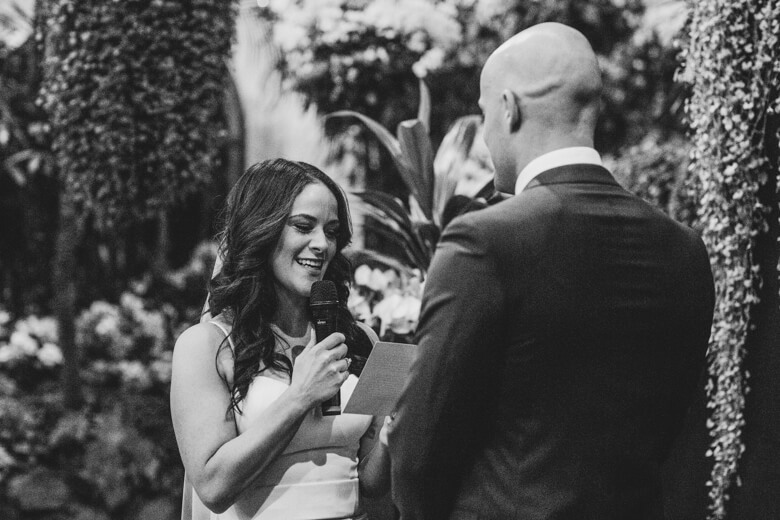 Fiona filled our wedding day with the most beautiful and heartfelt words, moments and memories. 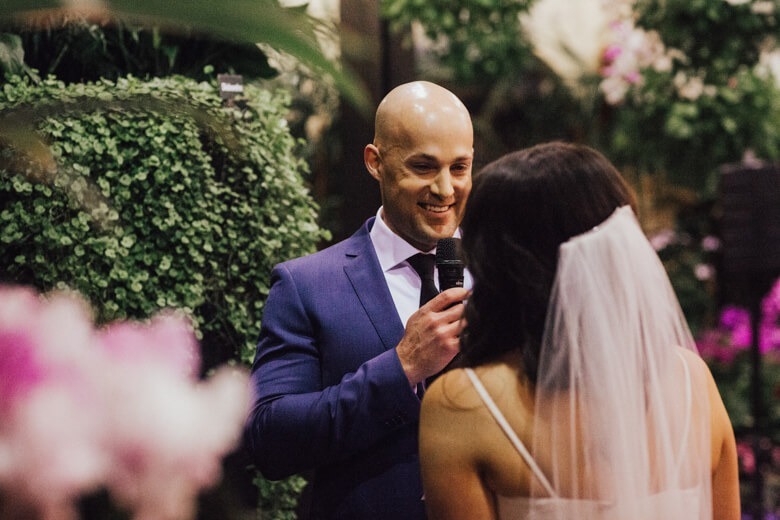 She crafted the most loving, personalised and fun ceremony – and by the time our wedding day arrived it felt like she was our friend, not just our celebrant”. Wishing you all the best for your future as you both deserve only happiness.